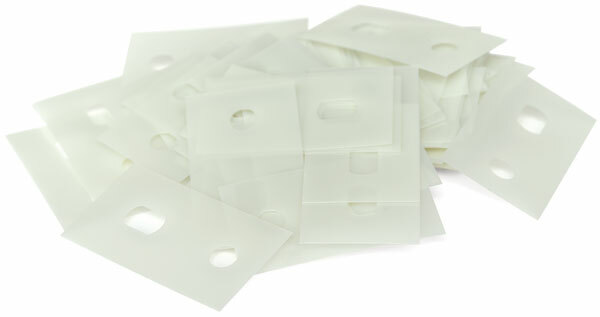 Ternes-Burton Stripping Tabs are a non-adhesive tab used to aid registration of prints where multiple colors are used. They can be used for screen printing, lithography, block printing (wood or lino), and other printing processes. Made from stable, durable 7.5 mil mylar, the stripping tabs feature a combination of round and elongated holes. Using the elongated holes with spacing pins aids expansion and contraction of films and flats when used in a vacuum frame.